Try this first thing in the morning to really wake up your digestive system. This is one of my favorite recipes! My dad told us to try it out as a replacement of coffee in the morning. It’s fantastic! 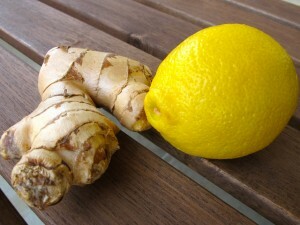 Pour the ginger and lemon juice into a large mug. Pour the steeping water over the top and let sit for a minute or two. The ginger will fall to the bottom.